I highly appreciate the freedom of creative expression this course encourages. “One of the major factors that influenced my decision to attend NTU is its vibrant student life. Having grown up in arguably the fastest-paced city in Africa, Lagos, I became accustomed to finding serenity amidst a bustling environment and, even though I didn’t come searching for the exact kind of energy from back home, I needed an avenue to connect me with an attribute of home, and this is what NTU provided me. “I highly appreciate the freedom of creative expression this course advocates. The facilities provided here are much more advanced than the ones in previous institutions, so I now have a milieu of platforms I can use to communicate and understand my ideas through a much wider range. This trial and error method of learning how to use new machines and using better versions of those I already knew has positively boosted my learning experience. “The course staff and their readiness to offer professional assistance and constructively criticise work for the student’s benefit deserves high commendation. In addition to that, the ardent approach applied when giving lectures and tutorials is nothing short of inspiring. “We recently completed a design competition that asked for unconventional interventions to specific derelict sites around the Creative Quarter of Nottingham. The ‘NOTT FORGOTTEN’ competition brief called upon individuals with creative aptitudes to propose what they believe would bring life to their site of choice within the short space of six months and with an overall budget of twenty thousand pounds. “My proposal entails a dual-function, timber-frame, small-scale pavilion. This pavilion uses the base idea of meditation and therapy using books to reconnect individuals with themselves. I enjoyed this project because the opportunity to communicate my ideas was exhilarating. “First and foremost, read about architecture (beginning with Vitruvius). 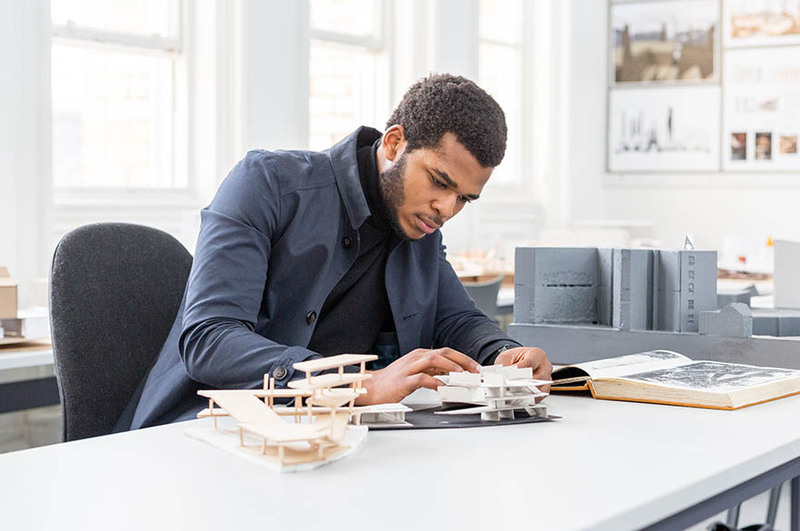 A thorough understanding of the theoretical aspect behind the world of architecture is the most fundamental step any aspiring architecture student should take to be fully immersed and successful in the discipline.